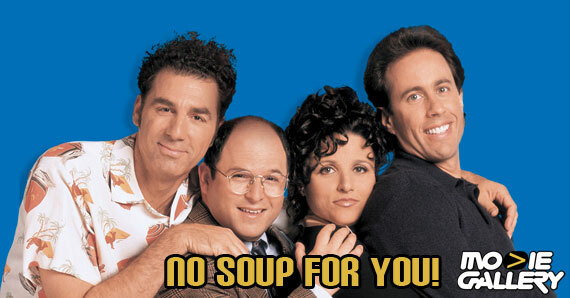 The last episode of Jerry Seinfeld and Larry David’s classic NBC sitcom, Seinfeld, aired 14 years ago this week. I still remember being among the 76 million people who tuned in, only to be disappointed by the ending of the show, which, after nine seasons, was and still is regarded as one of the finest products the assembly line of television has ever churned out. Whether it was getting away with putting a whole episode about masturbation on network television or taking a full half-hour to come up with the name “Delores,” Seinfeld broke ground like no other show. 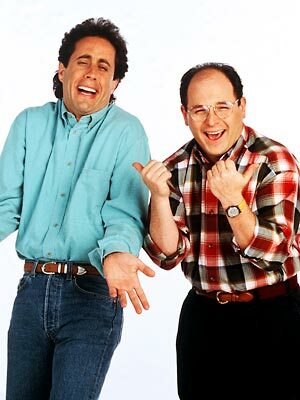 People talked about how it reminded them of how they were when they were hanging out with their friends, but none of my friends were ever as clever as Elaine (Julia Louis-Dreyfus) as dramatic as George (Jason Alexander) or as off-the-wall as Kramer (Michael Richards), and I sure as hell was never as funny as Jerry (played by Seinfeld himself). Seinfeld wasn’t like hanging out with your friends. It was like hanging out with what you wished your friends were. Plus button-downs. Lots of button-downs. Hardly looks dated at all. But here we are, nearly a decade and a half later, and people still can’t let Seinfeld go. I was watching a promo the other day for Julia Louis-Dreyfus‘ new HBO show, Veep, with my wife, and she exclaimed, “Elaine’s got a new show!” Not, “Old Christine’s got a new show!,” but Elaine. Jerry Seinfeld only had to deflect people from thinking he was someone else. The name was still the same. Poor Jason Alexander up there has had people yelling “George!” at him since before the century turned. Imagine that for a minute. Okay, I take it back. She's smokin' hot. And seriously, coming off of the larger-than-thou hair of the ’80s, it was time for people to start looking like human beings again — Kramer aside. Seinfeld was just what pop culture needed, right when it needed it most. And 14 years later, we still wish that even in our moments that seem to be “about nothing,” as the show claimed to be, we were half as interesting. At the end of last week, the mighty Perez Hilton reported that Seinfeld was re-teaming with Seinfeld producer Larry David (who went on to write and star in the hilarious but often painful to watch Curb Your Enthusiasm on HBO), as well as working with Alec Baldwin and Ricky Gervais on some yet-undisclosed project. Yeah, it sure would be fun if this comedy dream team got together and wrote televised media out of its dreary and apparently perpetual oblivion, but don’t count on it. 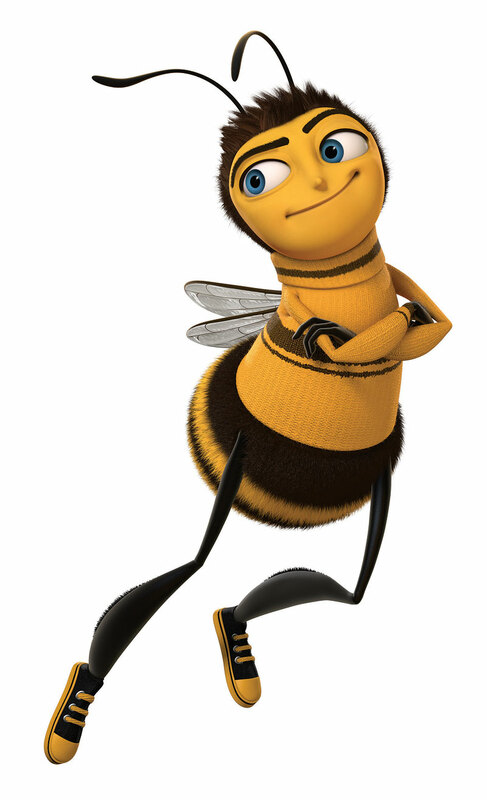 I think we’re more likely to get Bee Movie 2: Back to the Hive before we get another Seinfeld sitcom. Giving the people exactly what they don't want. I’m not saying I wouldn’t be one of the screenwriters for it if I was asked — which I won’t be — but seriously, Jerry Seinfeld doesn’t have to care in the slightest what he does or who he does it for. The man’s a walking ratings machine. Remember when he was on 30 Rock to promote the above animated monstrosity? You’d have thought the Dalai Lama was doing a walk-on. No, Seinfeld himself isn’t the answer, and Curb Your Enthusiasm was great, but it should’ve ended two seasons ago with the card that said, “Happy Holidays from Larry and the Blacks.” It’s all been downhill from there. And I’m pretty sure the high court of “Holy crap I can’t believe you just said those terrible racist things” has forbidden Michael Richards from ever appearing in public again, and rightly so. Those of us who’d get our fix clearly need to look elsewhere. The answer is no, he hasn’t, and if you’ve seen Julia Louis-Dreyfus’ new show Veep, which premiered April 22 on HBO, you already know that. Louis-Dreyfus plays Selina Meyer, an also-ran presidential candidate who wound up in the Vice Presidency and found out it has no power, little prestige and an almost complete lack of dignity. Perfect for comedy. 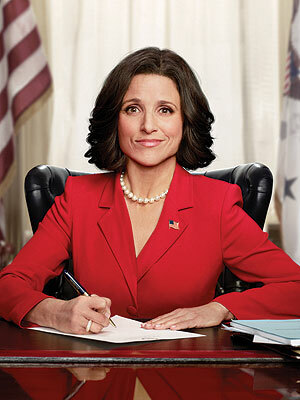 Veep is written by Armando Iannucci, who’s scored a couple political comedy hits in the past on British television, and he brings that same sense of sharp dialogue to this show as well, but really, it’s Louis-Dreyfus carrying the whole thing. Her Meyer is buffoonish but capable, helpless and vulnerable, but still able to boss around her ragtag staff. A strong supporting cast gives her plenty to bounce her timing and physical comedy talents off of, and all around, the show is a win. The news that it’s already been renewed for a second season was most welcome. Hmm. A situation that's comedic... There should really be a word for that. It ain’t Seinfeld, but it’s not supposed to be, and that actually turns out to be one of Veep‘s greatest strengths. 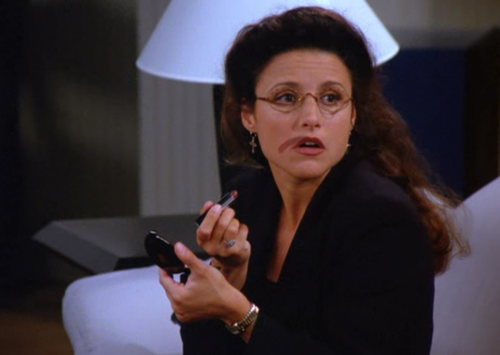 The show is smart enough to make us (almost) forget Louis-Dreyfus’ past role, and where The New Adventures of Old Christine had its charm, it was basically fluff compared either to Seinfeld or to Veep. It may have taken 14 years, but it’s starting to seem like Louis-Dreyfus has done what none of the other core Seinfeld cast members have managed to do: Move on. I guess if you wait long enough, TV forgets anything. If you call being on syndication four times a day on five different channels forever “forgotten,” that is. This entry was posted in The MG Blog, TV Series and tagged jerry seinfeld, larry david, Seinfeld, veep by summerm. Bookmark the permalink.